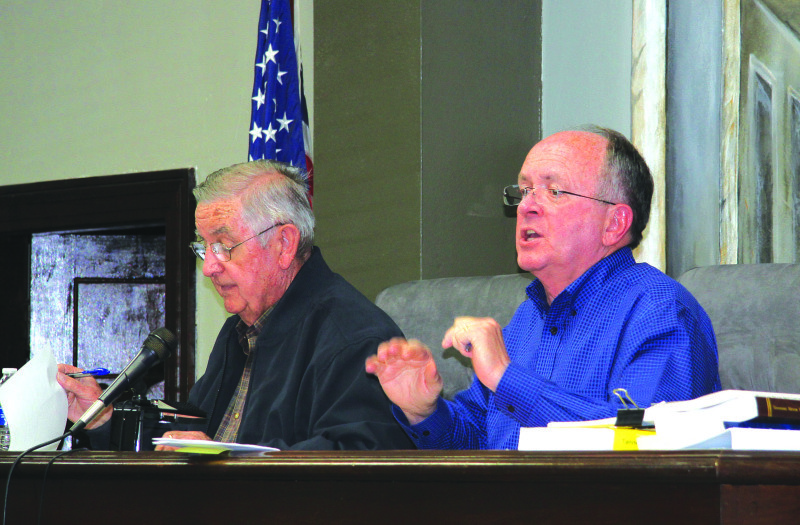 Cannon County Commissioners voted 8-2 to create a new Ethics Committee to hear complaints of policy violations and to refer ethical questions to the appropriate official or agency. County Executive Mike Gannon quickly named five individuals to the new panel at the Thursday, March 3 commission meeting. Selected were County Commissioners Mark Barker, Glenn Steakley and Richie Hunter, County Trustee Norma Knox and citizen Bill Jennings. "These are five people beyond reproach," Gannon said. The new panel passed commission vote unanimously following a motion by Commissioner Adam Melton and seconded by Karen Ashford. "I think it will benefit all county officials," Gannon said. Prior to the vote, the county executive said Cannon County's ethics policy dates back to 2007 and follows a suggestion made by the County Technical Assistance Service (CTAS). The policy only covers two issues: 1. Disclosure and/or limits on gifts and 2. disclosure of conflict of interests. The ethics policy does not include personnel, employment or operational regulations of local government offices. The police does apply broadly to all county officials and the employees in all county offices and departments as well as to members, officers and employees of any county board or commission. "All 14 Upper Cumberland counties have adopted an ethics policy," Gannon said. "Seven have an ethics committee, seven do not." Adoption of an ethics committee is totally left up to the County Commission, he explained. "Every county is different. I'm not recommending if we have one or not." Meetings are rare for any of those ethics committees, Gannon continued. "Not any of them have ever had an ethics complaint except for Smith County and that was a minor issue that was handled quickly." Rarely do any of the Upper Cumberland ethics committees have any action before them especially when compared to the busy county Audit Committee. Commissioner Glenn Steakley said the title "ethics committee" is somewhat confusing. Steakley, who attended an ethics training session in 2014, explained the committee is basically just a conduit for ethics questions and primarily deals with conflict of interest issues. In other action, the Commission approved changes to the Cannon County Highway Department's policy manual. "I went to the Planning Commission to discuss the changes and they agreed. I then took the changes to county attorney Mike Corley and he said there was 'no problem,'" Wayne Hancock, Road Superintendent, said. The policy changes would change road right away width to 50 feet, minimum road surface at 20 feet and the gravel base would be expanded from 4 inches to 6 inches of gravel. All would upgrade road quality. "It's been over 20 years since the policy manual has been updated," County Executive Gannon said. Commissioner Adam Melton moved for acceptance and Karen Ashford seconded. The changes were approved unanimously.